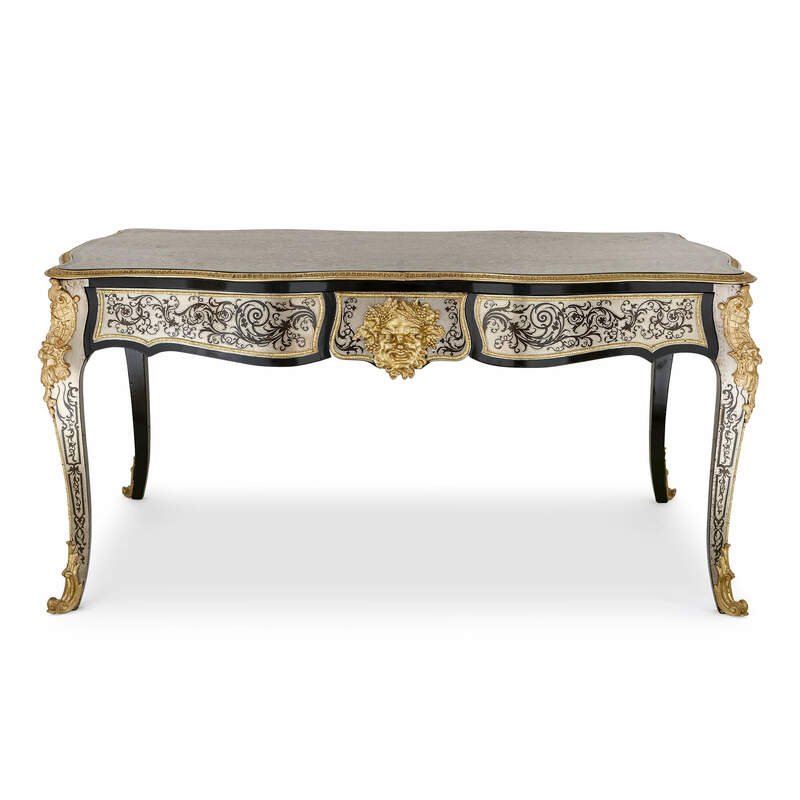 This exceptional 19th century desk is a masterpiece of design and skill, featuring highly intricate and painstakingly crafted Boulle-work throughout. This exquisite desk, or writing table, is designed to make a bold interior statement. It represents an exceptional piece of craftsmanship in the Louis XIV style, with stunning Boulle marquetry work all over its exterior. 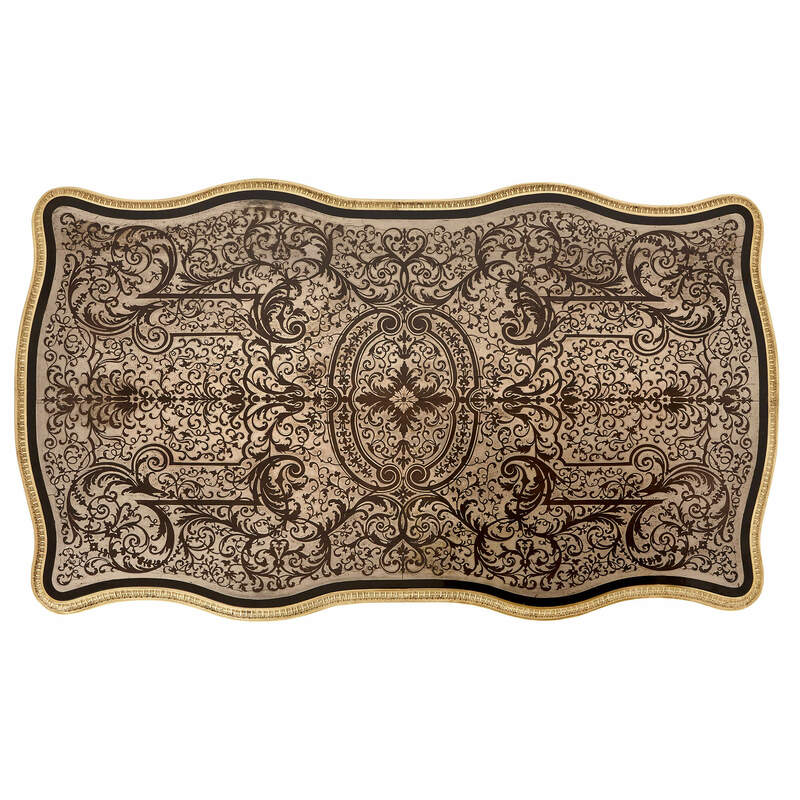 Boulle work, or Boulle marquetry, first popularized by Louis XIV's chief cabinetmaker of the same name, has long been regarded as the height of the ebeniste's craft, due to both the intricacy of the design and the opulence of the materials used. Here the elaborate, scrolling marquetry design has been completed using ebony and pewter, giving the piece a chic black and silver finish. The desk is gently undulating in shape and built from ebonised wood. 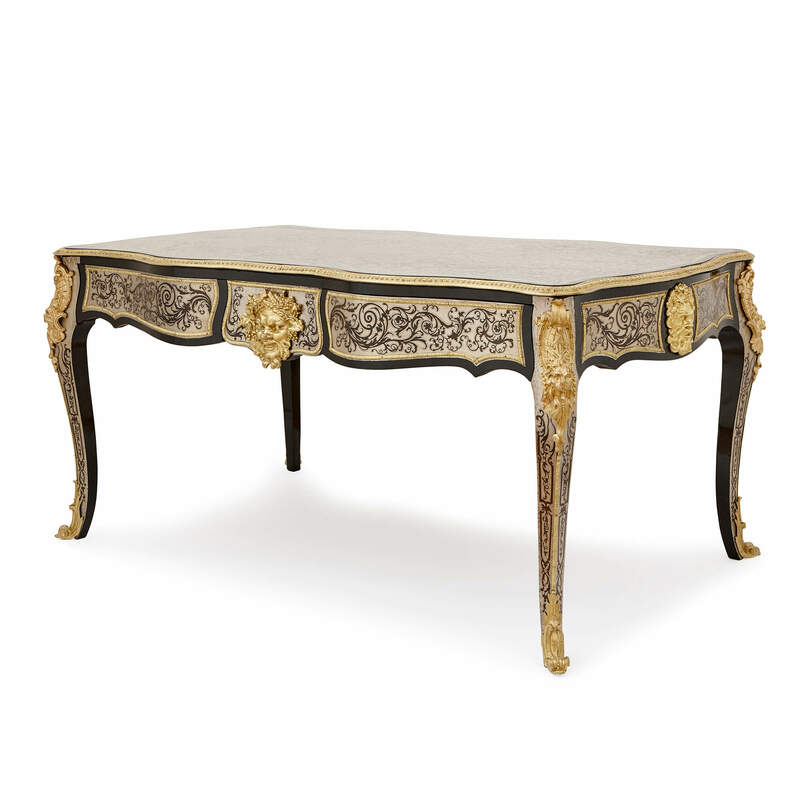 The table top is decorated with an exceptional composition of Boulle marquetry, with no space left unadorned, giving the desk a stunning magical quality when viewed from above. 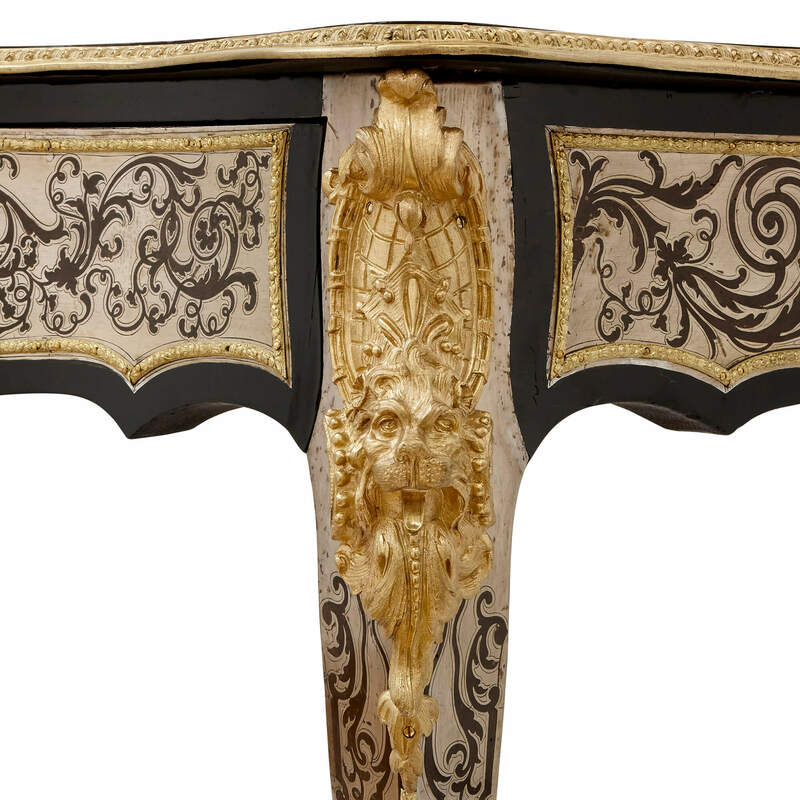 The top is framed around its edges with a band of ormolu, protecting the extremities of the desk. Under the top, the frieze of the desk features further panels of Boulle marquetry contained within ormolu borders. 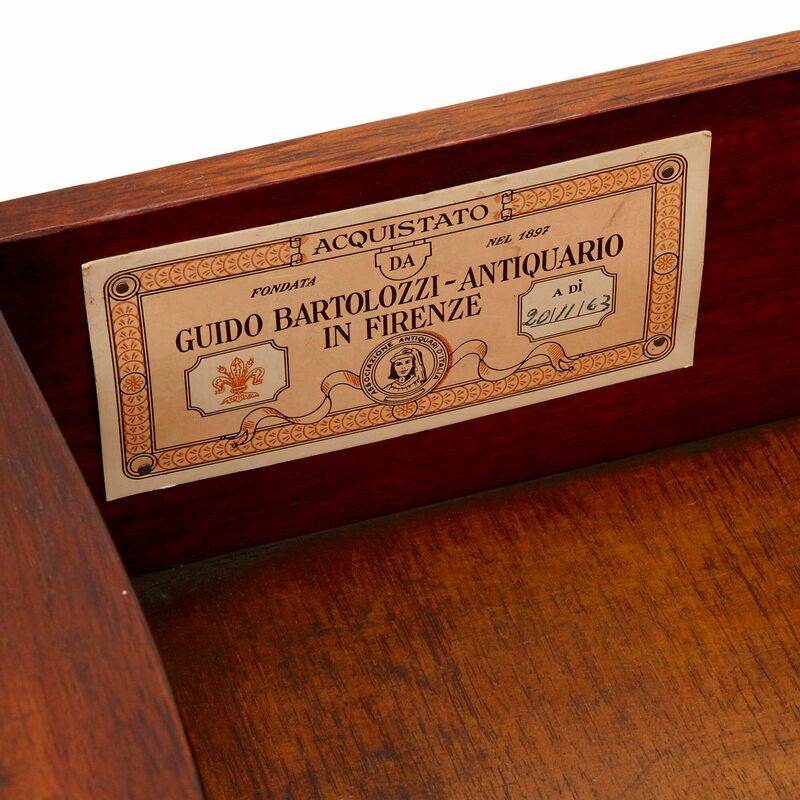 Two of the panels to the front open as drawers, with one of the drawers opening to reveal a retailer's label for Guido Bartolozzi Antiques in Florence, Italy, and a date mark for 1963. The desk stands on four cabriole legs, which again are detailed to an exceptional standard with Boulle marquetry. 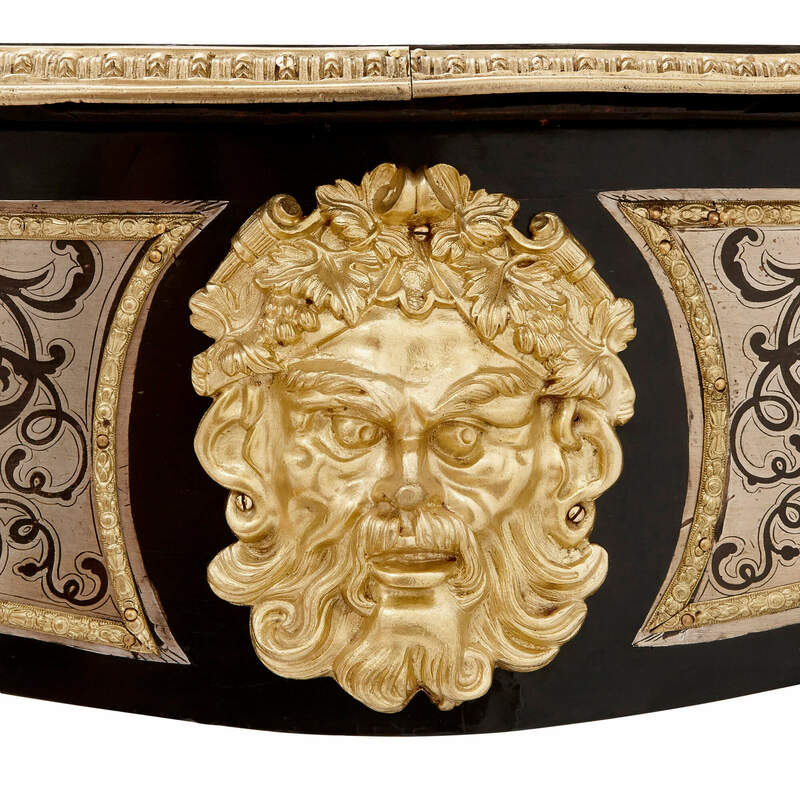 As well as the Boulle inlay, the desk is also decorated with exquisite ormolu features, with scrolling mounts at the top of each leg, sabots at the leg bases, and four satyrs' masks to each side. 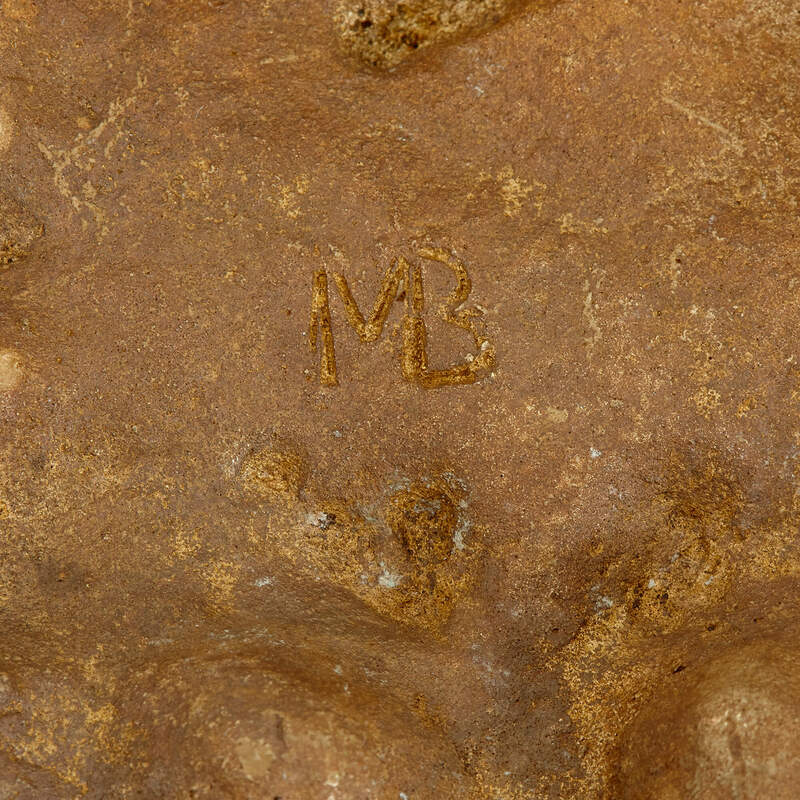 One of the ormolu mounts is marked to the underside 'MB'.